On September 2, 1890 the townsite of Oklahoma City was officially entered into the record. ©Chapman. All rights reserved. Following enactment of the Organic Act in May, 1890, territorial, county, and city governments were quickly established. Federal townsite laws clarified the procedure for confirming and settling land claims, and a land office opened in Oklahoma City. 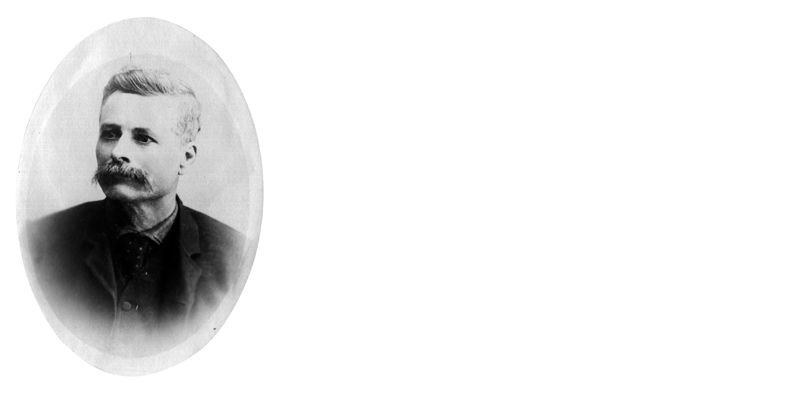 The newly appointed governor of Oklahoma Territory, George W. Steele arrived in Guthrie on May 23, 1890 and quickly began making appointments and getting to know the new territory. On May 14, 1890, Congress enacted a law for establishing townsites by trustees appointed by the Secretary of the Interior. The new law recognized claims evidenced by lot certificates. 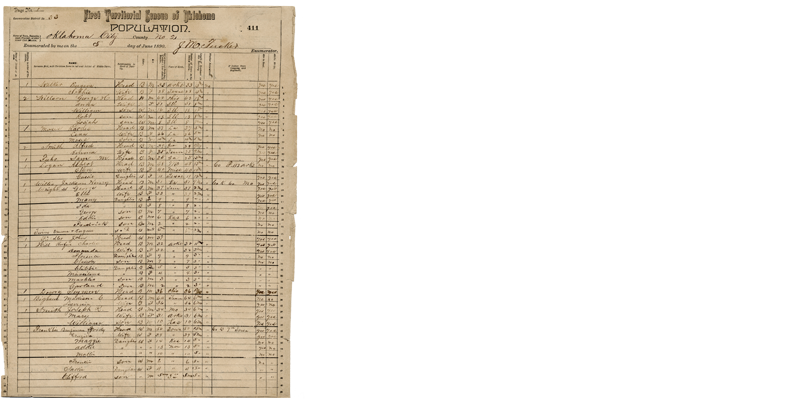 The Village of Oklahoma City, consisting of 400 acres - South Oklahoma, Oklahoma City proper, and 80 acres north of 4th Street - was duly incorporated on July 15. Within days the trustees had divided the city into four wards and called for an election of a new mayor, city council, and other officials. On August 9, 1890 the voters chose W. J. Gault as the first officially-elected mayor of Oklahoma City. 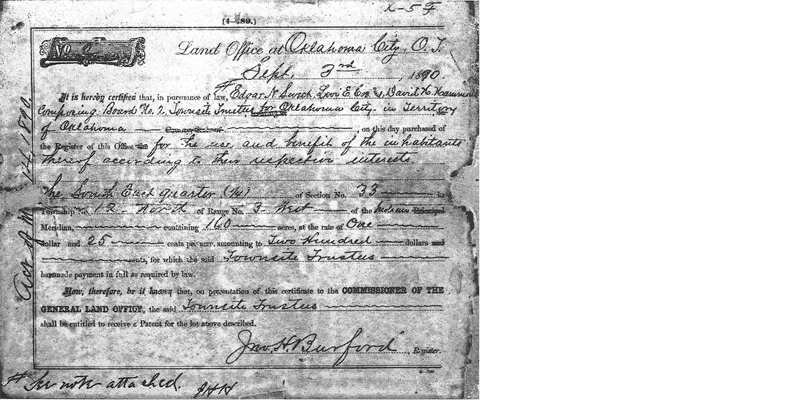 A land office opened in Oklahoma City, and the long process began of confirming ownership of homesteads and townsite lots by the trustees. Decisions made long before by an awarding committee, arbitration board, and city recorder issuing lot certificates were weighed. Some settlers had their claims confirmed and others did not. When evidence showed they had violated the rules of the Run, most sooners lost their claims.